We call it the Socratic method though we often go to Plato, a student of Socrates, to see how it's done. Dialogue. Conversation. Give and take. The expression of ideas about a specific topic. 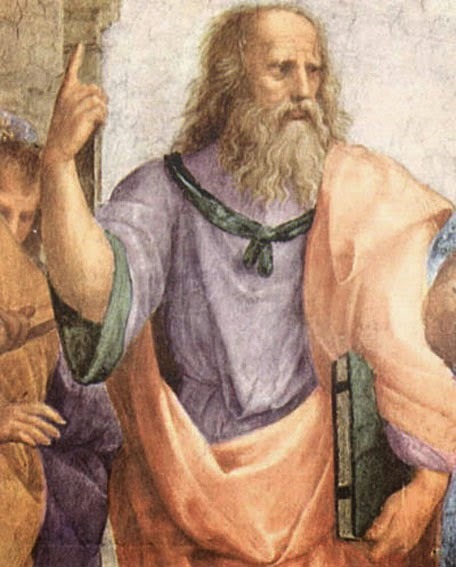 In Plato's dialogues, several characters express points of view on the topic at hand, but the reader is often left to draw his or her own conclusions. With the introduction of Common Core, a lot of educators started talking about the Socratic method and Socratic circles, variation on a theme. There are videos on Teaching Channel showing how to do a Socratic circle. I'm a fan of that way of teaching. Students are invited to be part of the conversation, they are expected to be part of the conversation and they are accorded appropriate respect. Whenever we create a PowerPoint or Prezi, we often do so with the intention of making it "interactive." By that we mean that there will be slides that will require the students or participants to do something, often based on what has just been presented. That's a "hands-on" presentation. One of the rationales behind that form of presentation is making sure they have opportunity to hear it and to do it thereby reinforcing the learning. Makes sense. But what if we really want a conversation? What if the "presentation" isn't about how smart we are, how knowledgeable we are, how gifted we are in front of a group? What if the "presentation" really is about engaging the individuals in the room? Ms. Duarte reminds us of the importance of the thinking about conversation rather than presentation for certain audiences and certain occasions. We've all experienced the students or participants who are frantically trying to write down everything on every slide. If the bullet points are too cryptic and they haven't had time to hear what you say, then the bullet points won't have much meaning for them later. Saying we're going to make the slides available after the meeting or class is small comfort for the individual who wants or needs to bullets for note-taking. Asking everyone to decode your cryptic bullets or plow through a lot of verbiage before you meet is setting yourself up for disappointment. Nobody has the time, and your ideas could get lost in translation. So give people a document that’s meant to be read, not presented. One they’ll grasp quickly and easily on their own. So often there isn't time to do the interactive part of the class or presentation because so much time has been spent presenting. The idea of making sure people can grasp ideas quickly and on their own is a little alarming. If they can grasp the ideas easily and on their own, why do they need me? Let's go back to Socrates and Plato. Much of what they did was through dialogue, through conversation. The teacher guides the conversation by asking questions to get students or participants to examine their points of view from a different angle and helping students build on each others' ideas. Students and participants learn. And likely so much more than the intended outcomes bulleted on one of those first few slides.